A Gator Country exclusive! Here's a gallery of 180 photos from the Gators' 196.850-196.825 loss, the slimmest of possible margins, to the Georgia Bulldogs on Friday, Jan.18 at the Stephen C. O'Connell Center. 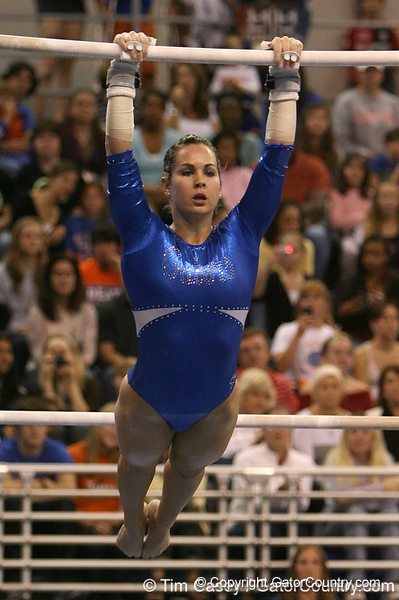 Florida senior gymnast Ashley Reed (Davie) during the Gators' 196.850-196.825 loss to the Georgia Bulldogs on Friday, January 18, 2008 at the Stephen C. O'Connell Center in Gainesville, Fla.